A reward from my aunt for helping her navigate northern New Jersey. Sure, we could have ate at the Fireplace... but Ikea was closer. 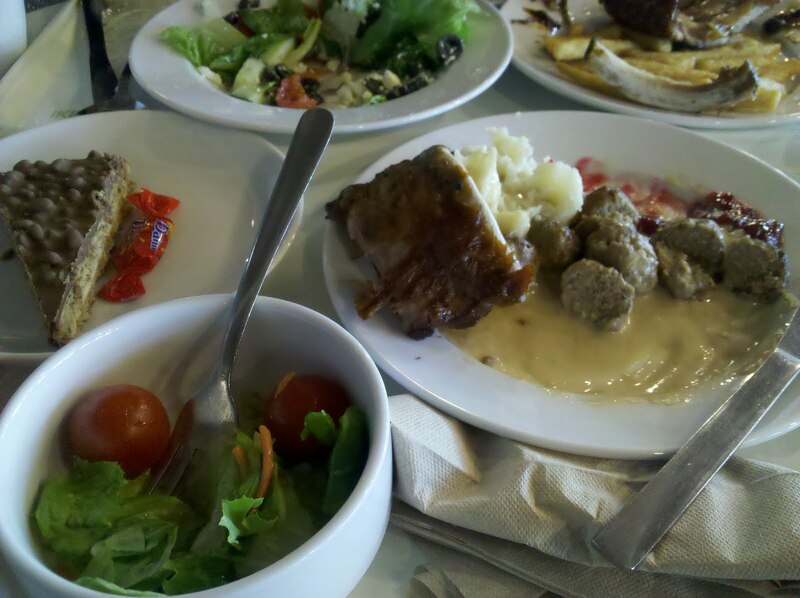 Whenever we are able we eat at Ikea, is that silly that we like it so much? And it is so awesome that some of the things you can now purchase to make at home, the meatballs and gravy is probably one of our favorite things, I buy tons of the gravy packets to have on hand and have on just about anything really. mhhmmm Ikea...love the roast chicken!